Teachers can catch kids’ attention with attracting appearances and presence, including a guest visit of a team mascot. Picture this…you and your students are getting ready to review the math they’ve been learning this semester before a major test. You blink and all the kids’ eyes have turned toward the door because a costumed team mascot you secretly arranged to visit has suddenly entered the classroom. Wow, what attention-getters – a funny team mascot and the element of surprise! TEST PREP WITH A PEP RALLY – Pre-arrange for the mascot to come to class for a mini-pep rally ahead of test time. The mascot will boost student morale, kick up a can-do attitude and reduce pre-test stress with some light-hearted fun. Hockey, Soccer, American Football, Baseball, Basketball, Tennis, Track – no matter what sport, no matter what season of the year – a mascot of any kind is a great way to cheer students on to success in school. SCHOOL MASCOTS CATCH ATTENTION – Sports mascots are quick to catch and keep attention because of their funny looks, their antics and their allegiance to popular teams. 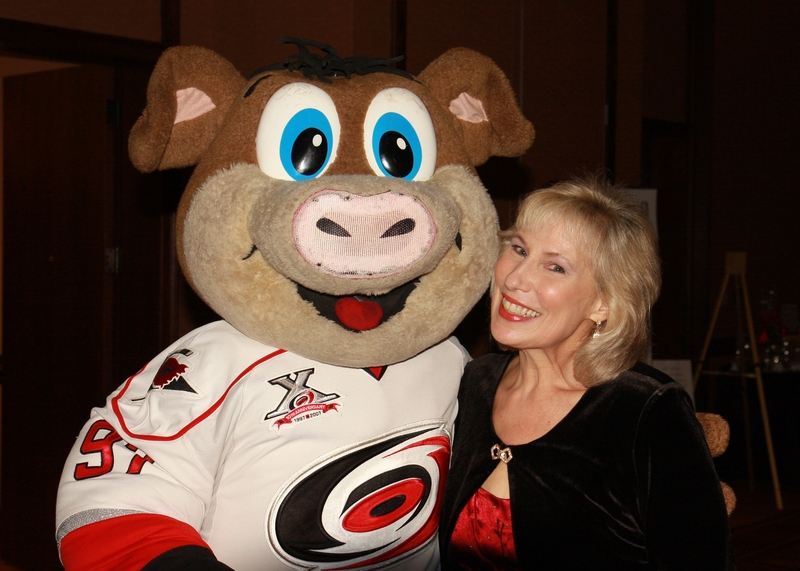 CELEBRITY PLAYERS – Mascots have the edge on fun, but local sports star players can make a big, positive impression on your class, too. How special to have one as a guest! Students tend to zero in on every word a superstar utters. …Need a costume? October is a great month to find one for this special kind of guest appearance. Most elementary schools choose animal mascots where alliteration makes for easy identification. For example, Broadhill Elementary School might be home to the Broadhill Bears, and so on. You and your staff or parent volunteers might have to get creative and make your own school mascot costume. HIGH SCHOOL STUDENTS KEY – If you need another option for arranging a surprise guest appearance, invite a local high school student to come dressed as his or her school’s mascot. Coordinate with your nearest high school key club. Key club members participate in programs that place them with elementary school students on a regular basis. COLLEGE SPORTS STARS POPULAR TOO – If you have a college or university nearby, you can contact the Athletics Department on campus and ask about the possibility of arranging for a mascot or celebrity player to visit. NEWS FLASH! – College and high school sports are big news in local communities everywhere. Offer to contact your local news organizations to arrange for publicity of your surprise guest appearance. Post notices on your school’s online network and in print communications with parents. “Ed,” a lively bumblebee, promotes good sportsmanship, team spirit and other desirable character traits. ahead of his or her visit. 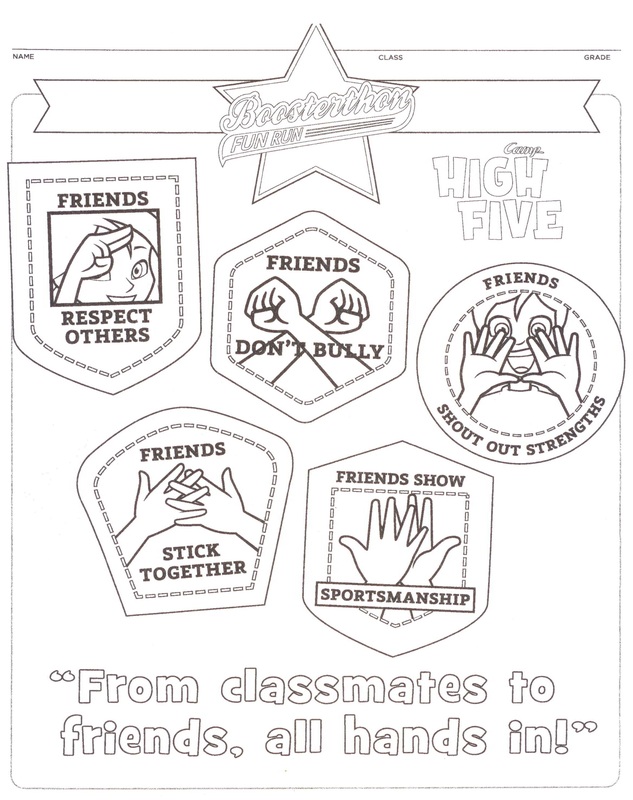 Instead of test preparation, for example, your goal may be to encourage good sportsmanship. This goal relates directly to Character Education. 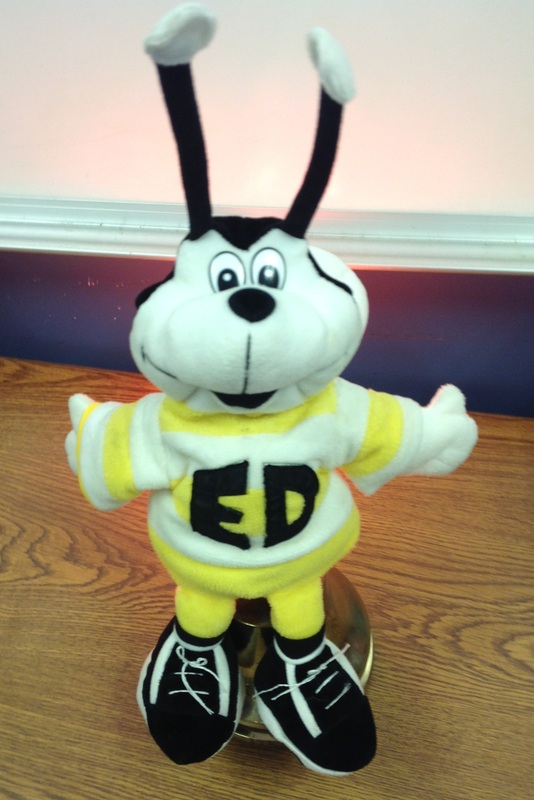 One school I recently visited promotes the development of good character with a bumblebee mascot, named “Ed.” Arrange with your school counselor for a surprise guest appearance in your class of a “celebrity” that brings messages about the importance of showing respect, being a good team player, etc. Some educators may think that sports celebrities, including mascots and members of teams, are too busy to have time to visit an elementary school. Not so, if you go through the proper channels to schedule visits. Google the team you have in mind and ask around school to see if someone has a personal connection with the team. The benefits of having a mascot or other sports star visit your class can last far beyond your initial focus, such as test preparation or character education. Please send comments about how you’ve used a team mascot, sports superstar or other guest celebrity to help students in your school. And, please subscribe to attentionology.com. You’ll receive an email notification every time a new post is published. Look for Mid-Week Focus on Wednesday. ‹ Take a New Look to Re-Energize. Help Kids in the Process!